Ableton is best known for their production software, Ableton Live, which helps turn musical ideas into stage-ready finished songs. Recently they created Ableton Link, a technology that keeps devices in time over a local network so you can forget the hassle of setting up and focus on playing music. Link is now part of Live, and also comes as a built-in feature of other music applications including Serato DJ and Serato DJ Pro. Serato DJ 1.9.3 and above supports Ableton Link. It works by sending BPM data over a wireless connection, so that your own applications or fellow DJs' or musicians' applications stay in time. 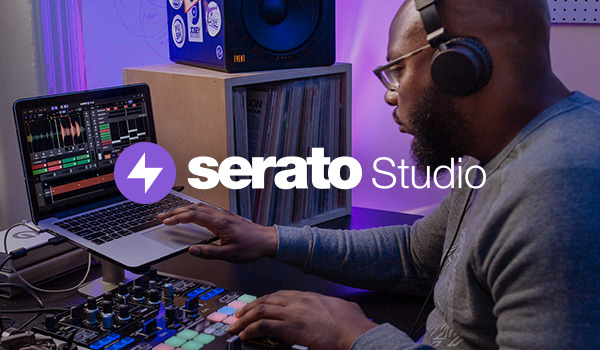 Using Ableton link with Serato DJ Pro is simple, just make sure you are connected to a wireless network, or set up a secure ad hoc network that only you and fellow DJs or musicians can connect to. If you are linking Serato DJ Pro to another app on the same computer, this will link through the software without the need to connect to a wireless network. Click the Link button in the top left hand corner to activate Ableton Link. You are now sending your BPM data, and anyone in your wireless network will be able to connect and change the BPM.